Tunde is a research scientist, consulting engineer and culture activist. He holds a B.Sc. in Electrical Engineering, M.Sc. in Computer Science and Ph.D. in Information Science (with application in Linguistics). 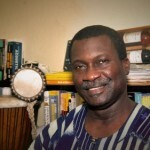 Prior to his present position as the Executive Director of African Languages Technology Initiative (Alt-I), he had contributed to the development of Cellular Automata Transform (CAT) as one of the most advanced compression technologies employed on the global information infrastructure today. He has also made notable contributions in the design and installation of various audio and video production and post-production facilities as well as Radio and TV stations in Nigeria and elsewhere in Africa. Tunji Odejobi researches in the area of Computing and Intelligent Systems Engineering with special focus on speech and language engineering. 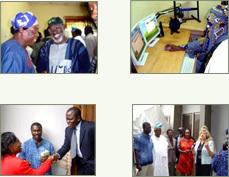 He teaches at the department of Computer Science and Engineering at the Obafemi Awolowo University, Ile Ife, Nigeria. 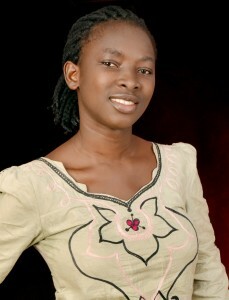 Lydia holds a B.Sc in Computer Science and a Master degree in Information science. She is a doctoral student at Simon Fraser University, working in the areas of statistical Language Modeling and automatic diacritization. - Language is the means by which humans express thoughts and Ideas. It is tied to and describes a people’s environment, cultural beliefs and practices. 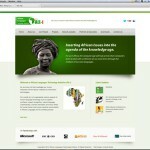 The unavailability of ICT for African languages could manifest as a setback for the continent at large. Ola holds a Bachelor’s degree in Electrical and Electronic Engineering and a Master’s degree in Information Science from the Federal University of Technology Owerri (FUTO) and the University of Ibadan respectively. 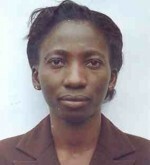 She is currently a doctoral student in the University of Ibadan, working on the computational morphology of Igbo. - The development of the African continent must start with the development of her indigenous languages so that these languages become the language of Science and Technology. Azeez obtained B.Sc. and M.Sc. degrees in Systems Engineering from the University of Lagos, Nigeria. 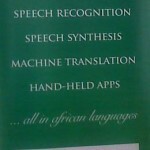 His field of research is in Automatic Speech Recognition of Yoruba. His area of focus is in the effects of tonality on the quality of recognition. 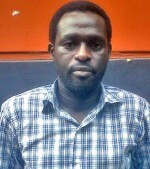 He is at present pursuing a doctoral programme at the Department of Systems Engineering in the University of Lagos. Dr. Opesade obtained a B.Sc. in Electronic and Electrical Engineering from Obafemi Awolowo University, Nigeria as well as M.Sc. in Industrial and Production Engineering and a Master in Information Science, both from the University of Ibadan, Nigeria. She obtained a Ph.D. in Information Science at the Africa Regional Center for Information Science at the University of Ibadan, where she also teaches. Her research interest is in authorship attribution of written texts based on regional linguistic cues. She works on statistical language modelling and textual data mining problems. 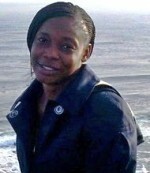 Eno Okon holds a B.sc in Geography and Regional planning from the University of Calabar. Though originally from Oron in Akwa Ibom State, Eno is a first language speaker of Hausa and has brought a depth of insight to the Hausa localization team at Alt-i. She is at present studying towards a Master of Information Science degree at the Africa Regional Center for Information Science at the University of Ibadan. - As the world goes through technology explosion, it is imperative for us to infuse language into these technologies so that they do not fade away. 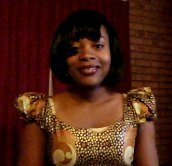 Rhoda studied Education at the Federal College of Special Education in Oyo, Nigeria and is involved in corpus development work at Alt-i. - African languages have been neglected in technology too long, and if they are not included in technology, some may not last very long.